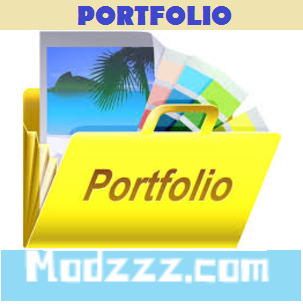 This module allows individuals or companies to list their Portfolio of work completed. This is fleible enough to accomodate virtually any kind of Portfolio ... whether for physical work (such as a building contractor) or online work (such as a Web Designer). 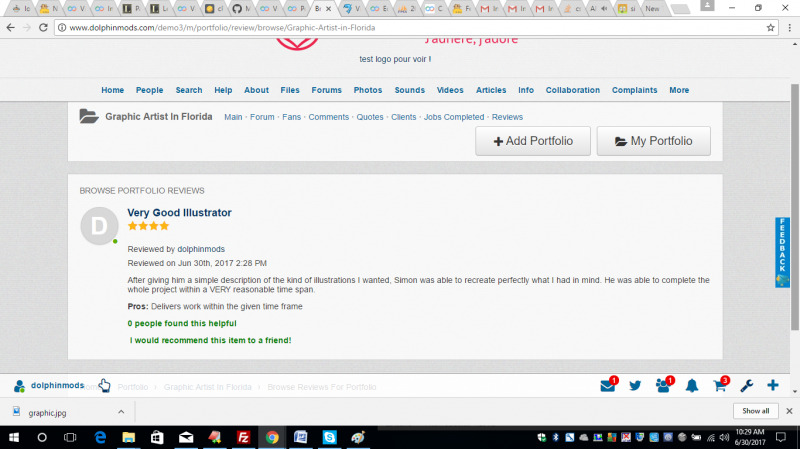 Portfolio Administrator can show off details of Job completed, store information about clients, accept online quotes and get Reviews from past customers. -> Client for which the Job was performed and details about the work that was done. -> Locality where Job was done (if a physical location) or Website link if Job was online related. 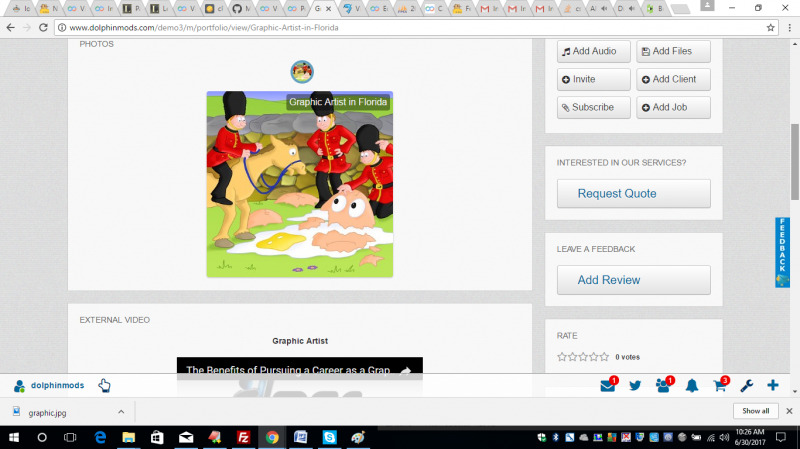 -> Photo Snapshots or Videos for the Job can be posted. -> Client Name and details about projects worked on. -> Contact details of Client. The company will receive notification of each new uote submitted and has the option to respond to the client via email. -> Clients can submit Reviews for the Company based on work that have been completed for them. -> Review can stated whether the Company is recommended or not. -> Person reading a Review can flag whether or not they found it helpful. 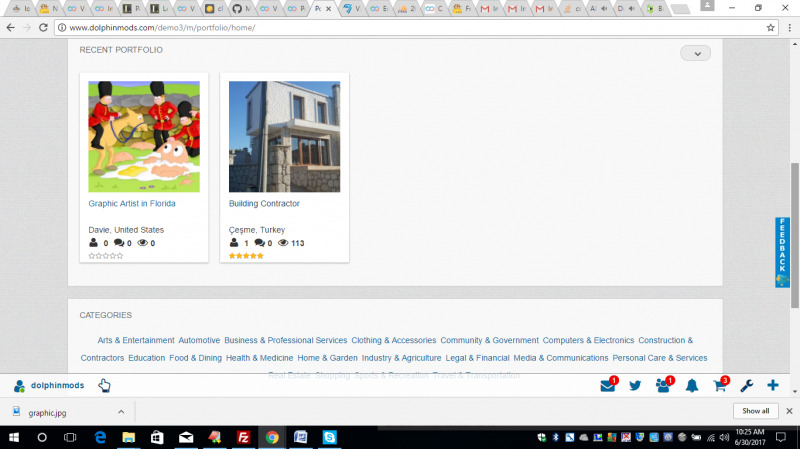 -> It is possible for the Administrator to add custom fields to the Review so depending on the type of Projects that the Portfolio listings cater for, the Review process can be tailored for relevancy. Ability to broadcast mass messages to all fans of a portfolio owner. This could be used during holiday periods to announce closing dates or to announce that the person/company is now offering discount prices on its services etc. Great addition for my members. This mod was simple to install and works great. I just had a little issue that was most likely due to my template being slightly different than the norm.... but that was fixed within a day with Modzzz help so I couldnt be more pleased with this great feature. I then tested the whole mod and it functions great. A great feature for any site. Thanks for another great mod Modzzz. Will be back for more later. Cheers.